Welcome to Ireland Park Dentistry, a family dental office for the South Bend area. Our general dentist, Dr. Sridhar Meda, and his staff understand the oral health needs of every age and value the importance of a healthy, beautiful smile. We welcome adults and children to our dental home for quality dental care with a gentle touch. 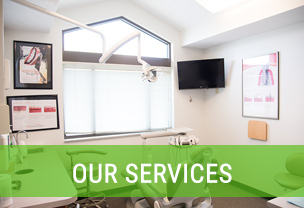 Our mission is to improve patients’ long-term oral health and aesthetics with routine preventive maintenance, restorative treatments, and cosmetic solutions. 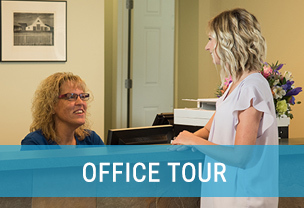 Contact our office or fill out the website’s contact form to schedule your next appointment or new patient exam. We are passionate about doing the best we can for our patients, which is why we combine the latest dental technology with modern practices. We value your comfort and understand the unique needs of every family member. We spend time with our patients getting to know their dental goals, gladly answering any questions or soothing any concerns that they have. With a warm atmosphere and an attentive team, patients know that they are well taken care of under our care. As a conservative dentist, Dr. Meda only suggests necessary and minimally invasive treatments that offer the most functional and aesthetic benefit. We only utilize dental labs within the United States, ensuring our products are of the highest quality. We view our patients as integral parts of our dental family and value the trust that they have placed in us. The personalities and charisma of our team are 100 percent genuine, as we believe in an open, honest relationships with our patients. This helps to keep everyone comfortable and allows both parties to move forward confidently with dental care. 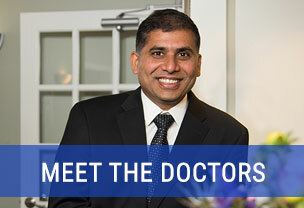 Our staff is highly experienced, which enables us to provide patients with exceptional care. We make sure patients can relax by providing TV’s within every operatory and in the waiting room, and natural lighting in our office. Nitrous oxide is another available option to maximize comfort and keep nervous patients at ease. If you are searching for a dentist to cater to the dental needs of you and your family, contact Ireland Park Dentistry. Dr. Meda and his team are dedicated to helping patients achieve their ideal smile. 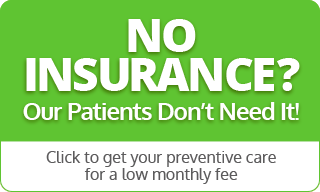 For more information contact our South Bend practice today at 574-291-8022! New patients click here to learn about appointments & payment options as well as find answers to frequently asked questions, download patient forms & more. You may also use our online appointment request form to schedule your appointment. Contact Us Today! Request an Appointment!